Custom Solar Kits from Sunbeam. You can select one of our pre configured rooftop solar kits and customize to your requirment. Each kit comes with Solar Panels, Solar On-Grid Inverter, Electrical BoS and Online Remote Monitoring. Solar Electricity and Save Money. One time investment. Lifetime Savings. Cut through the clutter. We select only the best internationally certified products. Our professional installers are thoroughly vetted for their technical expertise and customer service. See your savings and system output in real time. Our technical team is just a phone call away. expert will get back to you. and get it installed by us. The solar panels generate DC (direct current) electricity from sunlight. They are installed on shadow free area of the rooftop or ground usually facing south for maximum output. The most commonly used technology is polycrystalline. Quality and efficiency of the panels is as important as the cost. After all one should consider the lowest cost of power, and not the lowest cost of panel. 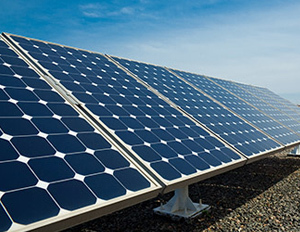 Typical solar panel size is 1m x 2m and has a rated capacity of 300Wp-350Wp. 1kW of Solar panels produce approx. 1400-1500 units of electricity yearly. A solar inverter converts the DC (direct current) electricity produced by the solar panels into AC (alternating current) electricity which is used by the appliances or machines. 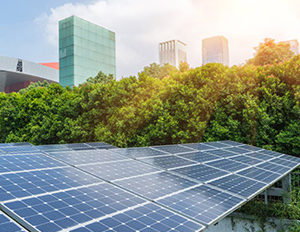 The solar inverter is the most important component of the solar system as it ensures that the maximum output of the solar panels is generated in all conditions. It is recommended to install solar panels 1.2-1.4 times the solar inverter capacity in order to get the maximum output throughout the year. The bi-directional meter records how much electricity you send to and receive from the grid. In the state of Maharashtra, as per the solar net metering policy, you will have to only pay for the difference in the electricity exported and imported every month. The final settlement will happen at the end of the financial year. Thus it is important to size the solar system based on the yearly consumption only. The distribution transformer converts higher voltage electricity to lower voltage usable electricity. As per Maharashtra state policy only solar systems upto 40% of the distribution transformer capacity can be installed. Thus it is important to install solar system as soon as possible to get the allocation from the discom. If you are planning to install solar, we recommend you start the process sooner instead of later. The rooftop on grid solar system synchronizes with the grid electricity to ensure optimal supply of current to all your appliance or machines. One common misconception is that a grid tied system will continue to generate power during a grid failure/blackout. Unless there is a battery back-up system, the gridtie solar system will not produce power when the grid is down. 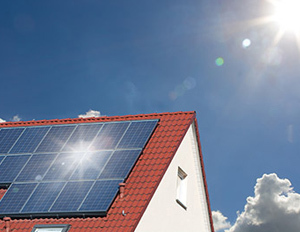 Want the benefits of solar, at no upfront cost? leases and power purchase agreements for qualified customers. Commercial Buildings and Industrial customers can claim 40% accelerated depreciation on the project cost. Typical payback is less than 3-4 years. NGOs, Education Institutes, Trusts, Hospitals can claim 30% subsidy on the project cost. Typical payback is less than 3-4 years. Residences & Housing Societies can get upto 30% subsidy on the project cost. Typical payback is less than 3.5-4.5 years. Petrol Pumps can claim 40% accelerated depreciation on the project cost. Typical payback is less than 3-4 years. 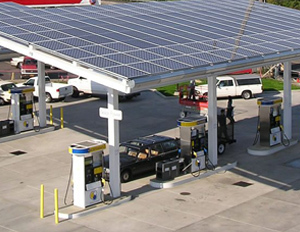 Sunbeam Solar provides industry leading solutions for rooftop solar and solar water heaters since 1991. Go solar with Sunbeam Solar.